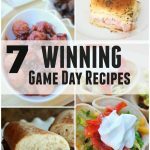 As a spokesperson for Mott’s® and Dollar General, I’m sharing these fun picnic recipes and ideas today! All opinions are my own. When the weather warms up and turns beautiful, there’s nothing better than a picnic in the backyard with family and friends! Food, drinks, music, games and good company – what more could you ask for?! I love to be the hostess at our home. I love to prepare food – anything from salads to desserts – it’s all fun for me! Since we have kids in our family, we often host other families with friends. So, I try to put together food and drinks that everyone will enjoy and that is easy to prepare ahead of time. I’m all about ease! When the goal is having a good time, you don’t need to be stuck in the kitchen while your guests are having a good time! 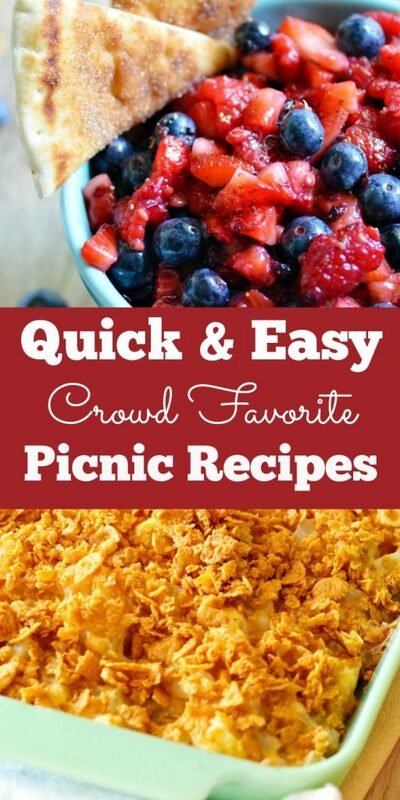 Here are 5 of my favorite go-to Crowd Favorite Picnic Recipes that are perfect for your next picnic! 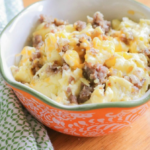 Cheesy Potato Casserole: Made with simple ingredients, this Easy & Delicious Cheesy Potato Casserole Recipe is a must-have for any get-together you host! Creamy Ranch Pasta Salad: Pasta salad is the perfect companion to almost any dish and it can be made up to a day ahead of time! Baked Beans: These delicious baked beans can be made with ground beef or ground turkey. They’re perfect for your next summer picnic! Very Berry Fruit Salad: Berries are abundant in summer, take advantage with this delicious fruit salsa! S’mores Dessert Bars: These S’Mores Dessert Bars are AMAZING! 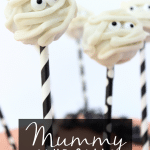 AND they’re super easy to make! 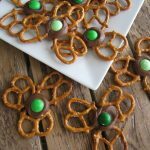 Pull out a few ingredients from your pantry and you’ll have a delicious dessert in just minutes! 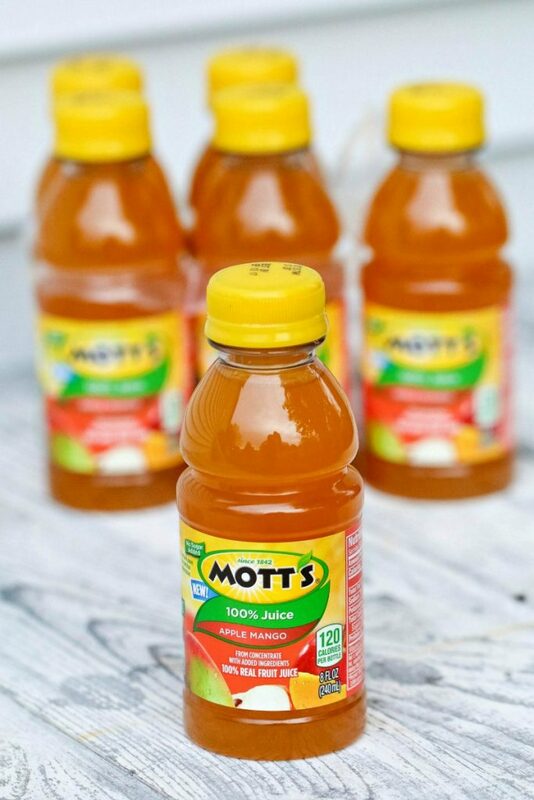 Mott’s 100% Juice has all sorts of apple juice flavors to choose from – here’s one of our favorites: 100% Apple Mango Juice! Nothing says summer like Mott’s Apple Mango Juice! These 8oz bottles are perfect for gatherings or on the go, and they’re exclusive to Dollar General, so you’ll have to head there to pick up your own 6 pack of juice! Plus, Dollar General sells the juice at the lowest price, only $2.75! 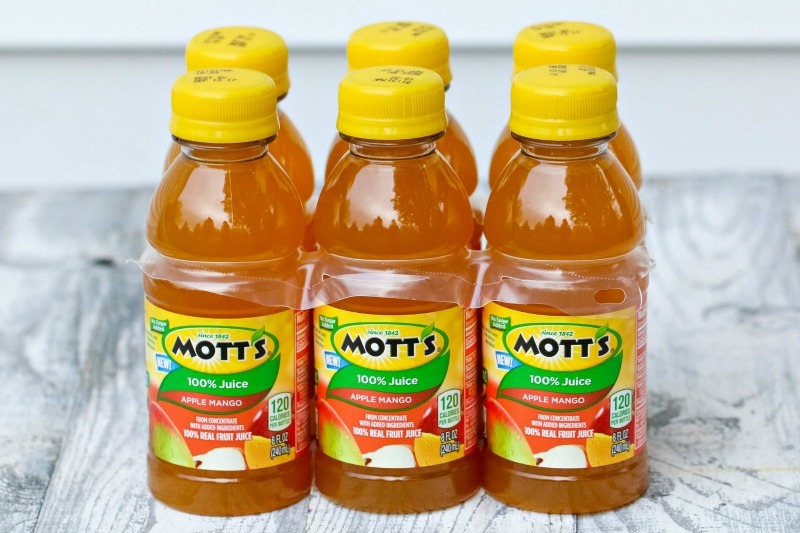 Mott’s 100% Juice is a quick and healthy beverage for warm summers with family and friends and comes in a variety of flavors! 100% Juice is the better-for-you beverage that kids love! Healthy decisions today lead to a healthy future tomorrow. 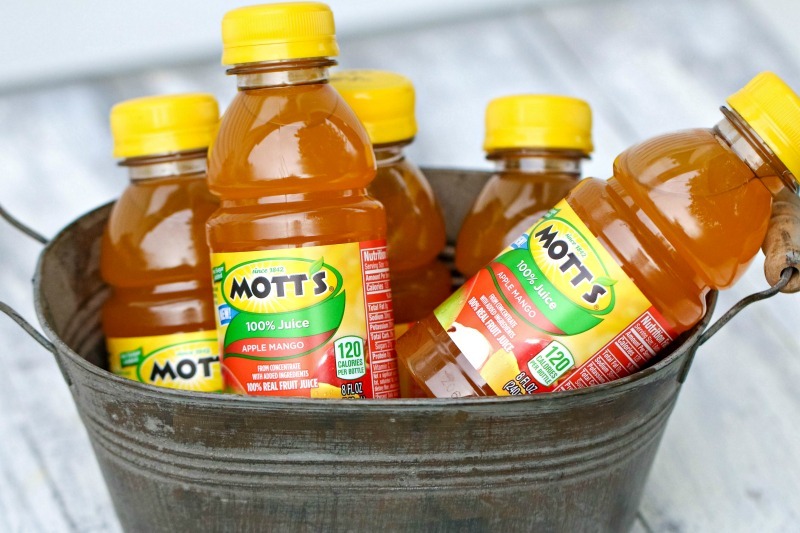 Mott’s brings the best of the orchard to families so they can enjoy delicious fruit goodness every day. Since 1842, Mott’s has been dedicated to giving moms easy ways to help their families be their very best. Which is very reassuring to me when I’m deciding just what to give my family. Mott’s is one of my favorites! Get picnic ready with some of these Crowd Pleasing Picnic Recipes and Mott’s 100% Apple Mango Juice! Thank you to Dollar General and Mott’s for sponsoring today’s conversation!